Apollo Systems are robust and flexible so that they can provide a reliable security platform for a wide variety of applications. With thousands of installations in over 50 countries, we cover the needs of almost any industry. Banking – Apollo Systems secure financial and banking assets around the globe. From commercial facilities to national banks, reserves and engraving facilities, you can be sure of no compromises by utilizing high-security features of APACS and Apollo hardware including Biometrics and Occupancy Control. Pharmaceutical & Research – Already securing facilities of 6 of top 10 global pharmaceutical companies, Apollo understands the unique challenges facing the diverse facilities required to bring drugs to market. From sensitive research facilities to production and testing areas, features that can manage a wide variety of human resources with different needs make for a straightforward process. Military – Protecting a nation presents the ultimate challenge, one that Apollo is proud to have assisted in for installations the world over. Supporting installations with over a million cardholders and large areas is a reality. 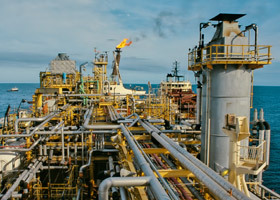 Oil & Gas – The complex needs of an industry charged with powering the world comes as second nature to Apollo systems. From large construction sites with ever-changing cardholder populations to region-spanning pipelines and production facilities, the needs of this intricate network of global locations drives some of the most innovate security solutions on the market. Nuclear Power – Some of the most high profile security assets in the world have been secured using Apollo equipment for over 20 years. In locations were equipment replacement is costly and dangerous, Apollo OEM solutions have been proven reliable by the top integrators of the industry.